Order in the next 3 hours, 58 minutes and 58 seconds for same day shipping. Trodat Professional 5030 has a date band with a character height of 4 mm. The imprint size is 4 x 26 mm. 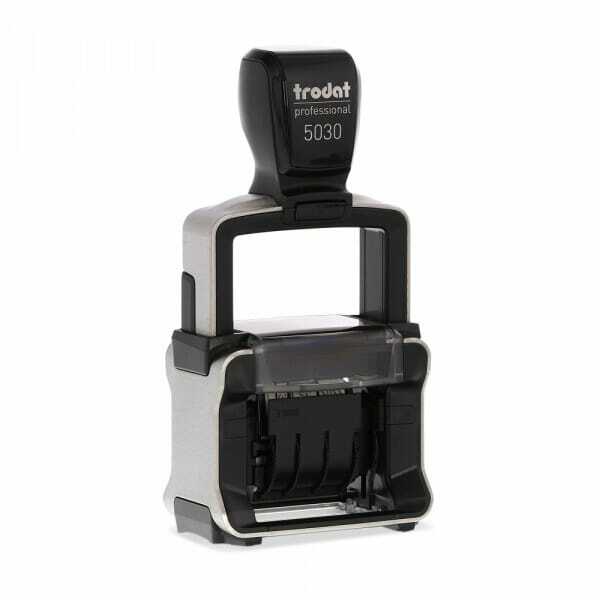 5030 is a self-inking stamp with a built-in ink pad to last for many thousands of sharp and clear impressions. To further extend the life of your stamp, order the suitable replacement ink pad 6/50. Pads are available from this website in black, blue, green, red and violet. Customer evaluation for "Trodat Professional Dater 5030 3/16 x 1 5/8" - 1 line"